Intention determines fate. Intention determines emotion, attitude, and experience. Not setting an intention creates a default intention that does not care, that invites the viscissitudes of a turbulent life. However, when we take time to touch our heart and tune our mind, and to set a good intention for our day, or for our life, we turn ore into gold. Our intentions are powered with teh energy of our hearts and souls as well as our minds. 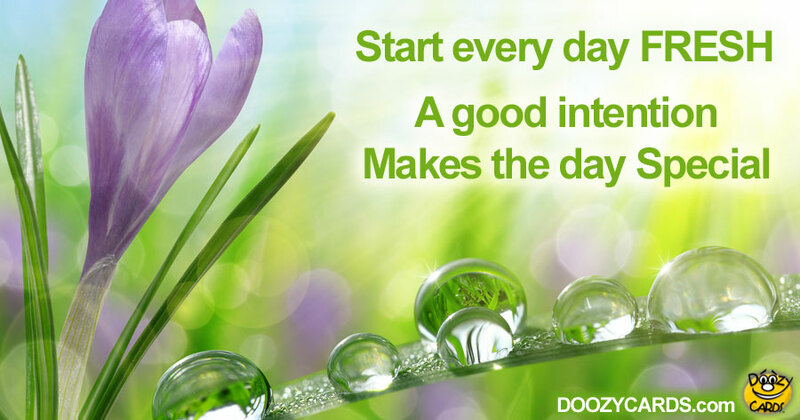 So we want to present this free inspiring ecard to suggest setting a good intention each day in order to make that day special, to imbue each day with the good, fresh energy of our souls.